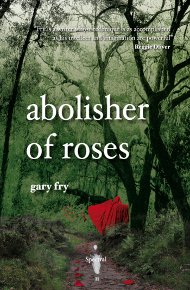 First up is a short, but very perceptive, review of Abolisher of Roses from Neal Hock of Bookhound’s Den, which you can read here. His comment that Spectral Press ‘has started something special and, in my opinion, needed: a line of stories that showcases quality writing and causes the reader to think’ hits the nail squarely on the head as far as the philosophy behind the imprint is concerned. Next is another short review, this time from Russian journalist Ray Garraty, which can be found in his Endless Falls Up blog – you can access the write-up here. Just like Starburst Online did, Shock Totem staffer John Boden combined reviews of the two Spectral volumes into one – his very honest assessment can be found here. He concludes with the words ‘I can say with all honesty, I cannot wait to see what Spectral Press puts out next. I’m certainly a fan‘, words which really make the whole enterprise more than worthwhile. Finally, for now at least, here’s a little interview I did with Michael Wilson for Read Horror‘s new Meet the Publisher section, wherein I talk about Spectral, its philosophy & ethos, what the future holds for the imprint and my influences. There will be more reviews forthcoming, I’m sure – just watch this space!